Come and see the flower fields! Although we do not have open visiting hours, we have lots of fun events planned! At Local Color Flowers, learn how to design with ranunculus! Butterbee farmer Laura Beth will discuss the ins and outs of growing these gorgeous blooms. From our garden to yours- come and get your baby plants for summer and fall bloom! Learn the inner workings of Butterbee Farm and how to create a strong crop plan. Tour our flower fields and make a bouquet to take home! 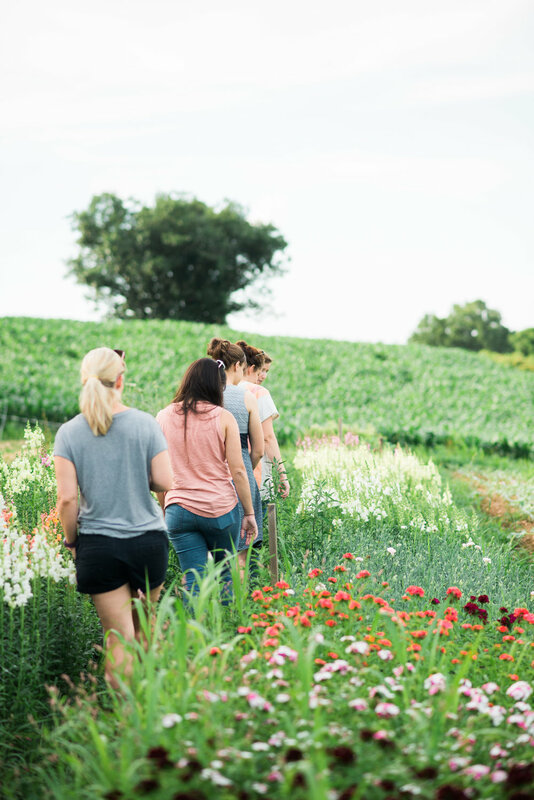 Stroll through our flower fields with Butterbee owner Laura Beth. We accept interns, volunteers, and may be hiring. We host family and engagement photoshoots among the flowers.